The 1930s were a sinister time for the arts, in every corner of the the world. In Europe, the ascension of Adolf Hitler precipitated the closing of the Bauhaus, the Weimar, Germany-based art and design institution which had gained international recognition for its innovative approach to creative education between 1919 and 1933. Artists and intellectuals fled the witch hunt which accompanied the rise of Nazism, seeking refuge in London and Paris and conversing under the cover of darkness, while in the United States the Great Depression plunged both its own population, and those of neighbouring countries, into economic turmoil. In the midst of it all, though, a small but stubborn light burned near Asheville, North Carolina, where a group of dismissed faculty members from Rollins college were plotting to found a new kind of art school – one which shook off outdated traditions. 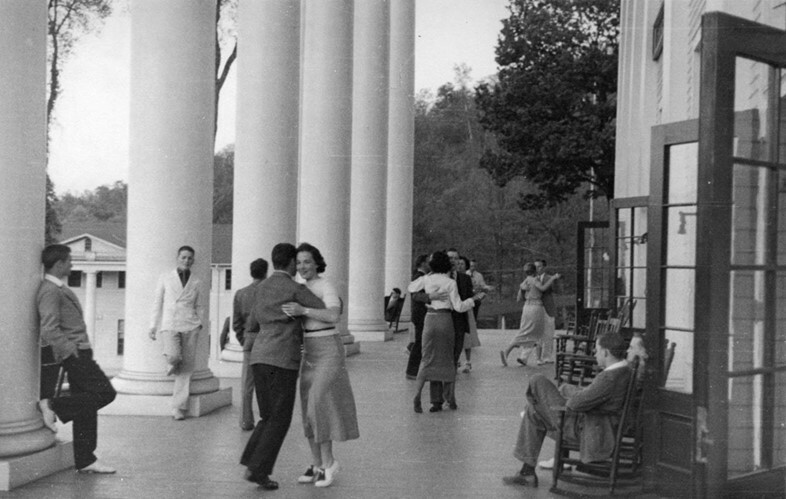 When the Black Mountain College was finally opened in the YMCA Blue Ridge Assembly in 1933, it filled a void in artistic education, and welcomed with opening arms those artists and intellectuals – Josef and Anni Albers, especially – who had been forced to relinquish former posts by the political tumult which surrounded them. The school put in place a system which balanced academic work, arts, and manual labour within an informal class structure and a democratic communal society, the idea being that a system balanced in this way would allow students to emerge complete, both intellectually and psychologically. The formula was extraordinarily successful: flexible academic schedules and the students’ encouragement to experiment with different media simultaneously resulted in a remarkably interdisciplinary environment. Visual arts, design, music and poetry collided in the crucible of the YMCA Blue Ridge Assembly, and later the Lake Eden Campus, guided by some of the most radical intellectual minds of the era. 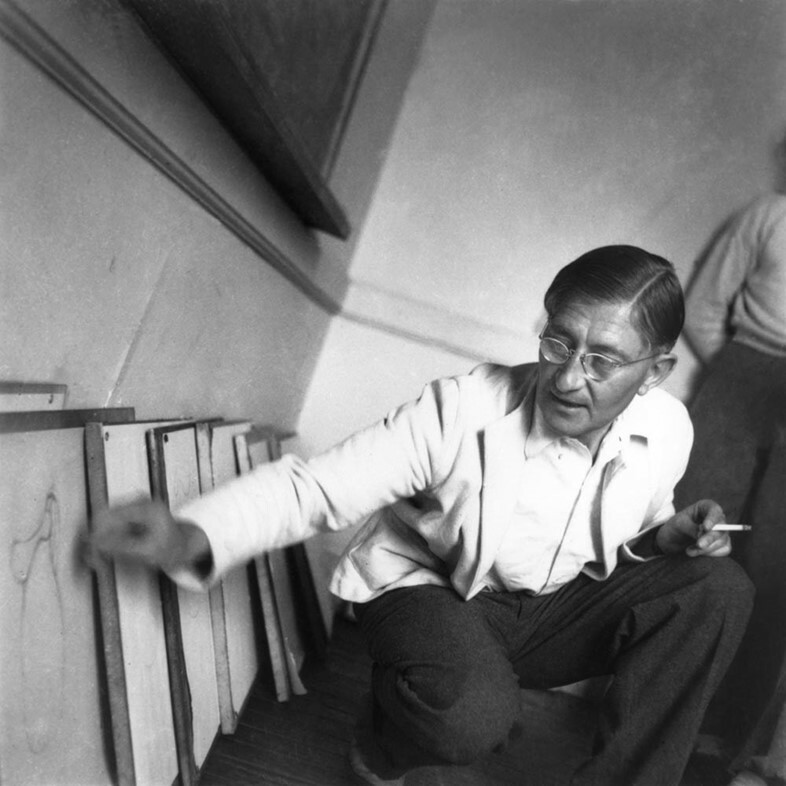 “Black Mountain College was a crazy and magical place,” artist and former student Lyle Bonge once reflected. “The electricity of all the people seemed to make for a wonderfully charged atmosphere, so that one woke up in the mornings excited and a little anxious, as though a thunderstorm were sweeping in." Bonge’s impression is not an unusual one. As Josef and Anni Albers created their trademark bold and pared-back Modernist paintings, prints and textile designs in one room, pioneering dancer and choreographer Merce Cunningham hosted workshops in the next, while minimalist musician John Cage premiered his groundbreaking composition Sonatas and Interludes across the corridor. Robert Rauschenberg, Cy Twombly, Willem and Elaine de Kooning and Buckminster Fuller were also alumni, passing in and out of the establishment over a period of years, perpetuating its culture of interdisciplinary experimentation. Over its 24 year tenure, the school created revolutionary new ideas around education, and produced a generation of trailblazing artists in the process. “It really became kind of recognised [at BMC] that art could be anything, and could be made out of anything, and that it didn't necessarily cross boundaries,” former student Kenneth Noland says. "They thought, between theatre, the visual arts, dance, music, etc., that you could mix all this up and make a multi-media, or environmental art." "It was one of the most engaging, risky, and romantic seed-enterprises in the history of higher education," adds Alexander Eliot. In spite of its powerful influence, the school closed in 1957, but has since been immortalised through the Black College Museum & Arts Center, an establishment based in downtown Asheville. 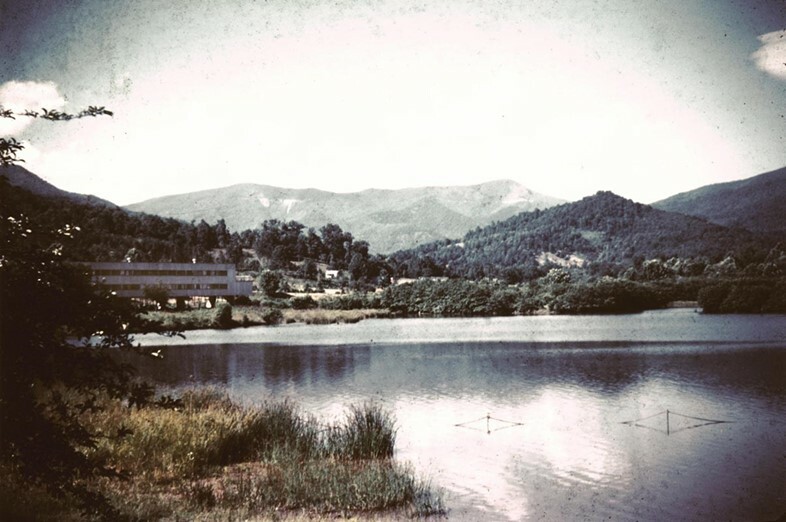 The Center is designated to preserve and continue Black Mountain College’s unique legacy through a diverse programme of exhibitions, publications, lectures and film. "Our goal is to provide a gathering point for people from a variety of backgrounds to interact, integrating art, ideas, and discourse with an emphasis on process rather than product," the museum explains. A fine memorium to the Black Mountain College's trailblazing approach indeed. With thanks to the Black Mountain College Museum & Arts Center.